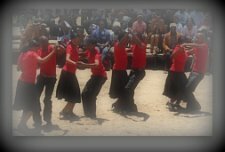 Batswana celebrate Botswana every day. Life is a celebration and the country offers you an opportunity to celebrate life. Okay, it is not paradise. But undoubtedly, Botswana has an environment that is conducive for business prosperity and wonderful travel adventure, with both experiences worth retelling. The country is one of the top destinations in business investment and tourism in the world. 'Botswana' means a place for Batswana. 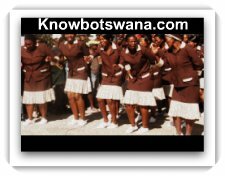 The main meaning of Botswana refers to all citizens of the country without exclusion - referred to as Batswana. 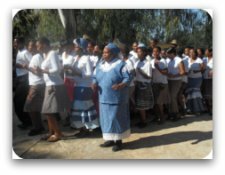 Batswana are democratic people who look beyond ethnic, cultural and identity differences for the stability of their country. This scenario alone confirms that the country's environment is amiable and conducive to do business, live in or visit. Botswana adopted her name when she became an independent state on 30th September 1966. This is after she had made proposals in 1964 to be independent. The country had previously been called Bechuanaland as a British protectorate. For her to gain the name Bechuanaland and status as a British protectorate the country had sought protection from Britain which was eventually given in 1885. But there is more about the long history of Botswana. 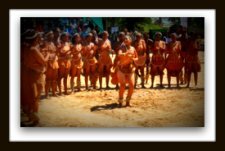 Prior to gaining independence, Batswana faced hostilities and incursions made into their territory by the Ndebele tribe from the present day Zimbabwe and Boer settlers from Transvaal in South Africa. 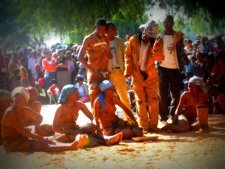 It happened that three Batswana chiefs - Khama III, Bathoen and Sebele travelled to and made an appeal for protection to Britain. Botswana politics run parallel with the history of Botswana. When Botswana gained independence political parties were formed to contest in the first general elections in 1965. Since then Botswana has conducted ten consecutive free and fair elections every five years. 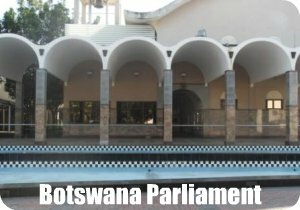 Botswana has always practiced democracy even during the pre-independence era. 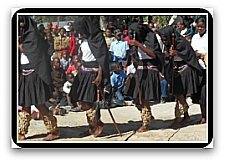 The roots of Botswana's democracy lie in Setswana traditions, exemplified by the kgotla, or village open council. This is where the public participate in discussions of national interest. Botswana democracy is further enhanced by some political, economic and social sectors supported by relevant instruments to ensure that true democracy is practiced at all levels. The qualities that stand at the core of the country's stability, growth and success are those of peace and harmony. It is these qualities that Botswana should nurture and cherish. Botswana has been ranking well in the Global Peace Index in recent years. Read more about how peace in Botswana has affected the index in 2011. 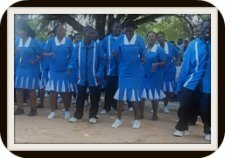 Botswana national anthem: 'Fatshe leno la rona' this is our country. The anthem promotes unity and love for the country. Botswana flag: blue, black and white horizontal strips. White and black strips stand for racial harmony while blue is for water which is a much needed commodity in this thirst-land. Truth be told, not everyone in this planet knows about or where Botswana is. It is such a small fraction of the global citizenry that knows about this country, and here we share facts of the location of Botswana. Botswana stands out as a model country, a story worth sharing with the people of the world. The country is part of the strong southern African economic base with a large market. There are more other reasons why you should invest in Botswana. The Botswana government is the principal player in the economic, social,cultural and all other sectors of the country. The sectors have been sub-divided into ministries and departments that establish policies and provide related services. Government is sub-divided into central and local government. The Botswana president is the head of government. The president and ministers who head ministerial sectors form the Botswana cabinet. Officially the country is called the Republic of Botswana. Have A Great Story or Comment on Botswana? Do you know Botswana? Or do you have a great or favourite story and comment on Botswana? Share it with the world!